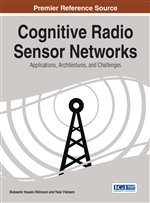 Based on recent trends, Cognitive Radio paradigm has become an integral part of future communication networks of which Wireless Sensor Network is an integral part. However, Cognitive Radio (CR) introduces critical issues that have to be addressed for communication in networks to be achieved. Routing, being the core of communication, has to be critically examined within the context of Cognitive Radio Sensor Networks. In this chapter, the authors discuss relevant issues on the topic of routing in Cognitive Radio Sensor Networks (CRSN). As a basis, a general overview of routing in the Wireless Sensor Network (WSN) is made. The applicability of these protocols in CRSN is discussed and the need for integrating Opportunistic Spectrum Access components into existing Wireless Sensor Network protocols is exposed. Factors affecting routing in CRSN are outlined with an emphasis on a cross layering design approach based on a generalized framework. Recent works in this respect are categorized, and finally, open issues in need for research attention are pinpointed. Wireless Sensor Networks consist of sensor nodes having the ability of sensing an event and transmitting same wireless via multi-hopping to a collection center referred to as the sink. They are usually deployed in an ad-hoc (self-organizing) manner with fixed spectrum allocation and are characterized with having communication, energy, computational and memory constraints. For example, a typical wireless sensor node can have a memory of 128Kb – 1Mb, which is regarded small. The embedded processor is also usually an 8bit 10MHz processor. The transceiver which is operated on a fixed channel mode in any of the channels of the industrial, scientific and medical (ISM) band, can achieve a data rate range between 1kbs – 1Mbs and a communication distance of 3-300 meters. The operating batteries are usually expected to run for about two years or more depending on the mode of operation. Table 1 and 2 shows some basic operational characteristic of some commercial wireless sensor nodes.